Summon supernatural power by applying the nine principles of building spiritual altars. Receive breakthroughs at the ultimate altar – the cross. Enjoy greater intimacy with God as He becomes your secret dwelling place and you become His. David at his personal altar prayed, “Summon your power, God; show us your strength . 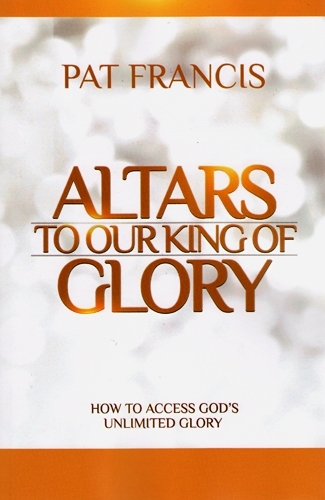 . . as you have done before” (Psalm 68:28), and David’s King of glory empowered him to become a giant killer, overcome poverty, and become the mighty king of Israel. 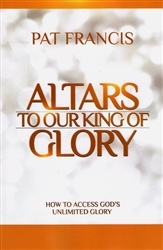 At your spiritual altar, you will tap into your potential for His ever-increasing glory. Above and beyond these impressive accolades, Dr. Pat’s vision is simple: “To serve God and humanity and to make my world a better place”. Dr. Pat travels the globe sharing the life-transforming message of hope and power as an international conference speaker. Her message of Empowerment, Self-Enterprise, and Kingdom Dominion has impacted millions of lives across the world as she transforms lives and teaches people how to “Create and Rule Your World”. She is the author of several inspiring transformational books and has published over 125 motivational CD and DVD titles, including: The Ultimate Secret, Achieving New Levels of Financial Prosperity, How to Create and Rule Your World, Dreaming and Designing Your Destiny, to name a few. She is also host of the weekly Television Program, “Good News with Dr. Pat Francis” which airs across Canada and other nations impacting millions. Dr. Pat possesses a unique ability and gift to engage with all people regardless of their status or station in life. With great humility she draws them to believe in the transforming power of God. Together they become empowered to work alongside her to Change Lives and Impact Generations. Dr. Pat Francis resides in Toronto, Canada.